A perennial favorite! 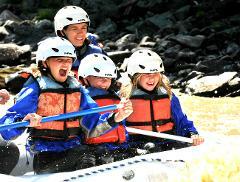 This is a fun cruise through towering rock formations and some of the Gallatin’s most popular rapids. Expect to get wet! 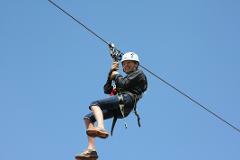 This is the trip of choice for families with kids in June and a great introductory trip in July. The most gentle trip but one of our favorites! Our grand scenic tour glides you through the shadows of Lone Mountain, meandering through the upper canyon of the Gallatin River where we may even come upon deer, elk, moose, or bear. 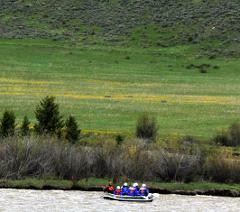 Full Day Whitewater trip on the Gallatin River. This trip is awesome! Push off into the river under the clear blue skies of a Montana morning, anticipating a day of fun and adventure. About 6 hours round trip. Min age 6. Start your day with an exhilarating whitewater wake-up call with any of our half day rafting trips on the Gallatin river. After enjoying a bite to eat, the afternoon will fly by on your trail ride through the Porcupine game range. The best deal available for all of your vacation adventures! 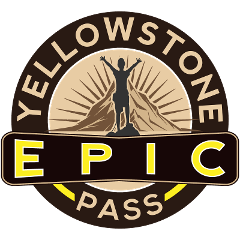 Includes, rafting, the zipline adventure park in West Yellowstone, a week of unlimited bike rentals, boat, or sup rentals and the climbing wall at Geyser Whitewater. Rafting Cancellation Insurance. Avoid costly fees for unexpected schedule changes or inclement weather. With this insurance you can cancel or reschedule anytime before your trip. Valid only for rafting trips and not 3rd party activities.